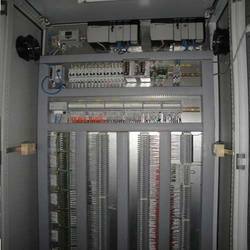 We are leading trader of PLC Control Panel. Backed by a dexterous and dedicated team of engineers, we have been able to manufacture and supply the best in class PLC Control Panel. 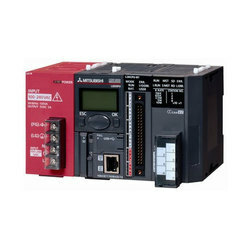 It is used for automatic control of various plant & machines in different industries. At our premises, this panel is manufactured in accordance with industry set standards by using premium quality components and the latest technology. In order to accomplish the different needs of the clients, we provide this panel in several specifications to choose from. We believe in being not just suppliers or vendors to our customers but their partners in success and development. Our team of expert engineers can design, program, implement and test the entire application at your location if required. Depending upon the customer's need and their technical readiness, we can get involved with their automation project at various levels.